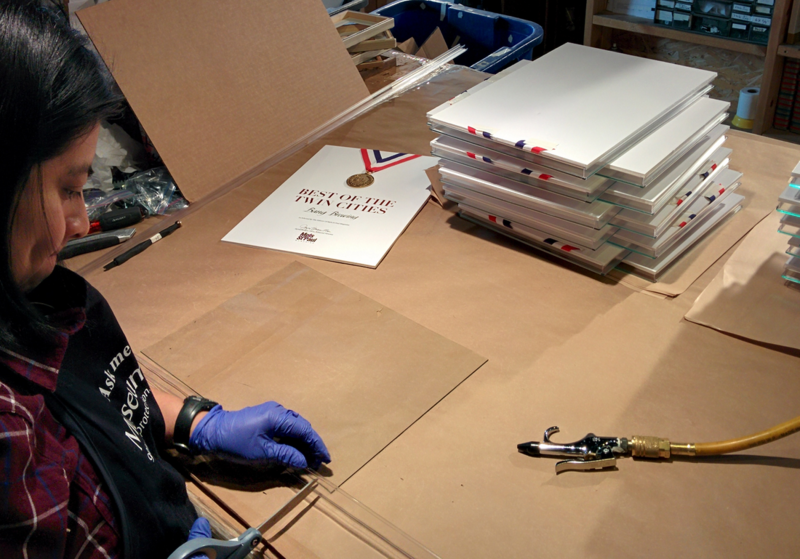 From working with clients closely in frame design to full in-house production, delivery and installation and even crating & shipping, we will take care of all aspects of your framing project. Our staff is made up to artisans, craftsmen and designers, all who practice a variety of framing techniques and ways to make your piece stand out and a true work of art. 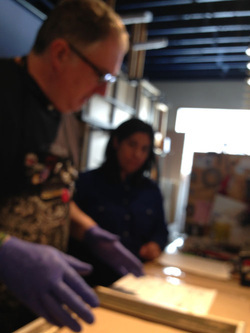 Our design staff will help you determine the moulding, materials and framing techniques to best match your artwork, the location your piece will be hanging and your personal taste. With our moulding selection of over 3,000 samples spanning over 44 manufacturers crafting moulding world-wide, we truly have something for everyone. 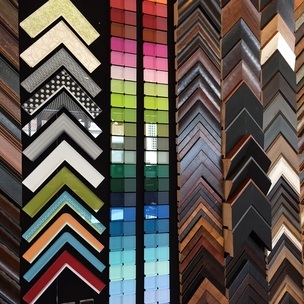 Visit our Moulding & Materials page for a closer look at the spectrum of beautiful frame mouldings and quality materials you can expect to find at all of our three locations.